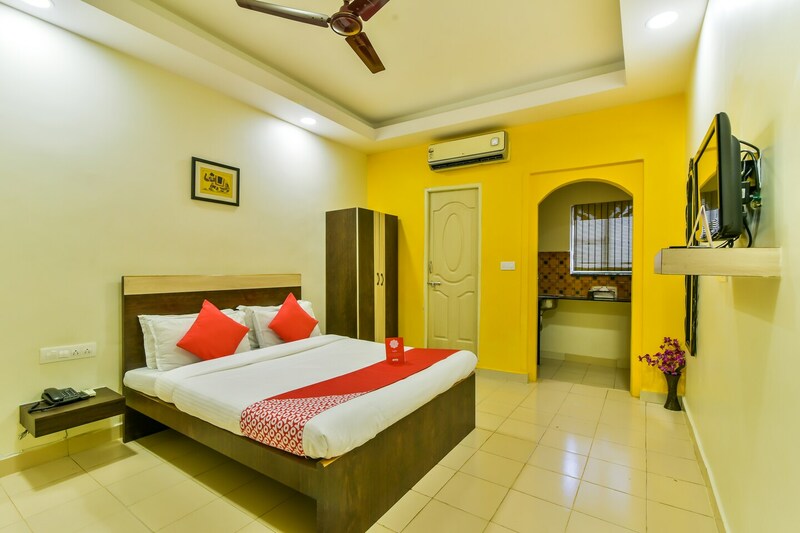 Located just 4 minutes from the Colva beach in the Margao area of Goa, De Aalayam is a very comfortable and laid-back inn, offering homely comforts. The guests can visit Our Lady of Merces church, Menino Jesus Chapel, Goa Chitra Museum and Benaulim beach which is at a short distance. Brightly colored rooms with rustic appeal and double beds, semi-open sitting and dining area and a small garden out in the front are few things which are set to make staying here memorable. Basic amenities like free Wi-Fi, TV, AC, geyser, laundry service, restaurant, dining area and parking facility are provided to all tourists. The Red Ginger, Tequila Bar and Restaurant, Eat Repeat, Sucorina Beach Shack and The Garden Restaurant are located within a few kilometers of the hotel.